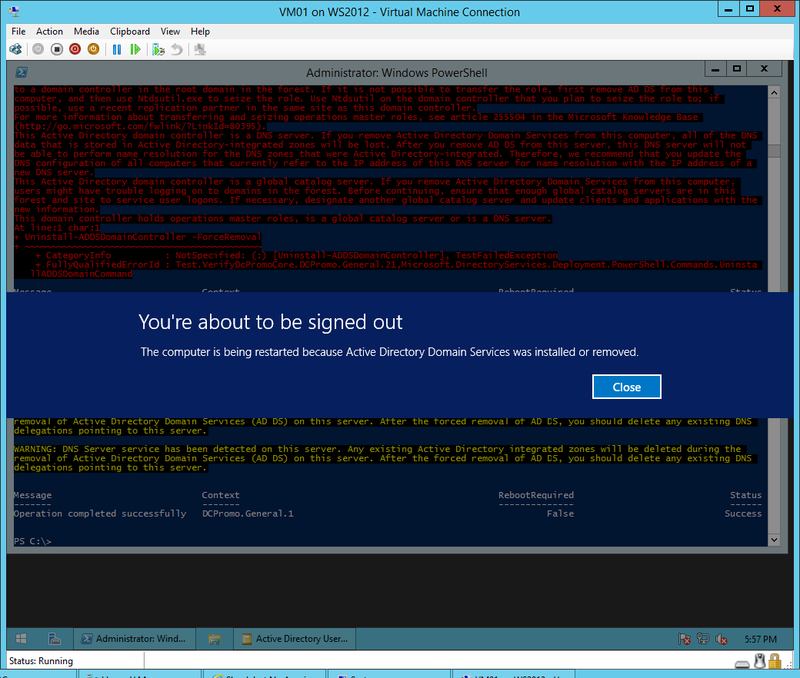 Demoting the last Windows Server 2012 R2 Domain Controller with PowerShell. | Chinny Chukwudozie, Cloud Solutions. 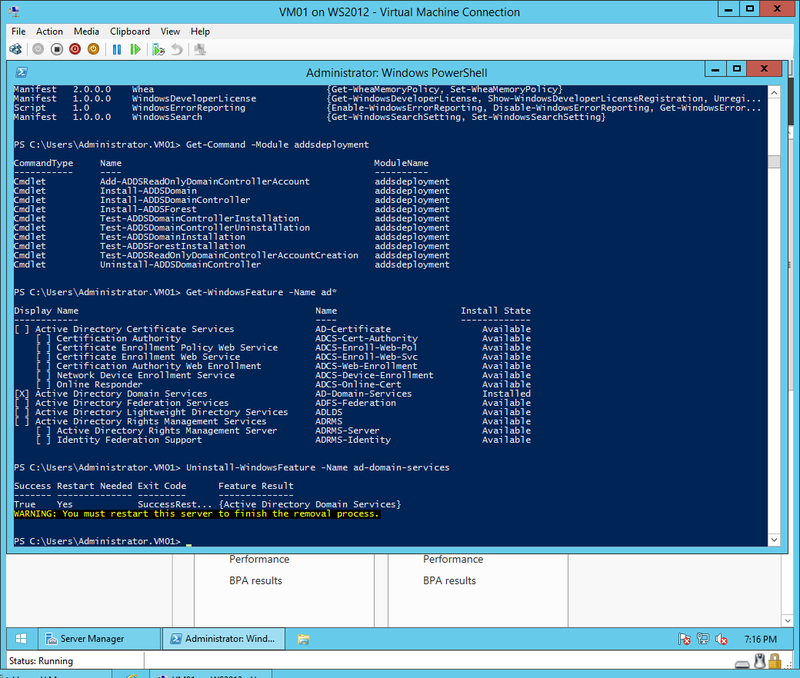 ← Configuring a Single Windows Server 2012 R2 Active Directory Domain Controller in a new Forest. and do not have connectivity to other domain controllers within the domain topology. After another restart, the server is clean and totally free of Active Directory. This entry was posted in Active Directory, Active Directory Domain Services, AD Forest, DCPromo, Domain Controller, PowerShell, PowerShell 3.0, Powershell 4.0, Windows Server 2012, Windows Server 2012 R2 and tagged Active Directory, Cmdlets, Powershell 3.0, Windows PowerShell, Windows Server 2012, WS 2012, WS2012 R2. Bookmark the permalink. 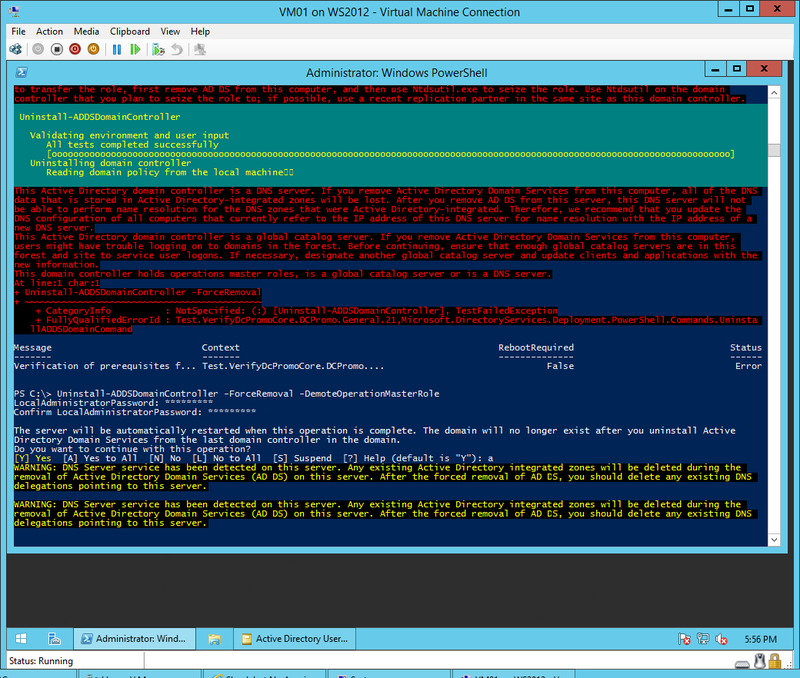 2 Responses to Demoting the last Windows Server 2012 R2 Domain Controller with PowerShell.